Bali Diving is one of underwater sightseeing in Bali. People who love underwater marine life is properly to do a scuba diving Bali to explore the beautiful marine life in Bali Island. 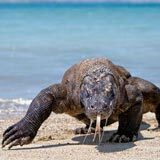 For scuba diving in Bali we have some places with the specification and uniqueness such as Tulamben, Nusa Dua, Nusa Penida, Nusa Lembongan, Padangbai, Gili Tepekong, Amed, Menjangan, and Manta Point. For the scuba diver who have certification or already done the course, they can do scuba diving at all these dive sites. 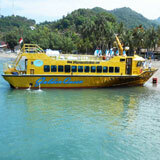 But, for begginer they can do diving in Nusa Dua, Padangbai, Amed, and Tulamben which has easy to medium current. Nusa Dua Diving is one of Bali Diving sites which also has beautiful underwater life. Nusa Dua Diving site is very suitable for all diver from Beginner to experience because on this dive site. 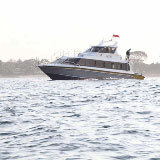 Nusa Dua Diving site is included into boat dive. Nusa Dua Diving is included into the easiest access from most of the travel destination in Bali which can be reached by 5 minutes from Nusa Dua, 20 minutes from Jimbaran, 30 minutes from Kuta, 40 minutes from Seminyak, 50 minutes from Sanur, and 80 minutes from Ubud. Nusa Dua Diving has 2 kinds of diving choice. 2 dives and also 1 dive. Each dive will take 20-40 minutes depend on how good you breath or your skill to dive. You are picked up at your hotel, and taken to our location. 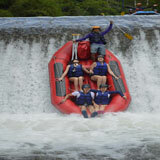 We will take you to Nusa dua around 30 minutes drive from Kuta, upon arrival you will sign insurance. Take by boat to dive site around 15 minutes and you can do your first dive and then the second dive. After finish diving we will take you to have lunch and take you back to hotel again. Free pickup & return in Denpasar, Sanur, Kuta, Legian, Seminyak & Nusa Dua area. Land & sea transport to the dive site. Diving with 1 PADI dive leader for max. 4 divers include Tanks and Weights. Diving Equipments: Fins, Booties, BCD, Wetsuit, Regulator, Mask. Lunch, refreshment & mineral water. 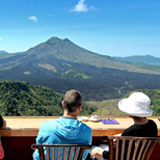 Tulamben is a village located in Kubu district, in the northern part of Karangasem regency, about 25 km from the city of Amlapura and if from the city of Denpasar approximately 82 km. Another uniqueness besides the underwater scenery is the existence of a US Liberty shipwreck, a US shipwrecked in 1942 for being torpedoed by a Japanese submarine in World War 2 at a depth of 30 meters. There are hundreds of species of fish inhabiting the shipwreck. Tulamben is a friendly dive site because it is suitable for any entry level of diver. There are two points for diving in Tulamben such as Shipwreck that suitable for beginner and experience diver, Shipwreck is beach dive you will find many beautiful coral and colorful fishes. Drop off is the second point for diving in Tulamben which is suitable only for experience or certified diver, drop off is boat dive and you will find the big fishes when you will do diving in here such as shark, baracuda and blue marlin. You are picked up at your hotel, and taken to our location. 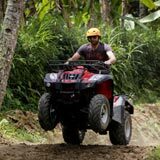 We will take 2 hours drive through Balinese forests and rice-fields brings you to Tulamben, where you can relax while the local porters bring your equipment to the open-air restaurant under the trees on the beach. After a briefing and preparation of the equipment, you put it on and walk the 10 meters down to the water. The wreck lies directly in front of the restaurant. Lunch is in the restaurant, then back in for the 2nd dive. Nusa Lembongan and Nusa Penida is two island which is located on the southeast of Bali. Both of these island are the most beautiful underwater marine life with the best visibility and they are known as Crystal clear water. Nusa Lembongan and Nusa Penida is one day dive trips that you can do 1 time dive in each island. These dive sites is not suitable for beginner because they have very strong current and need intermediate dive ability to explore. 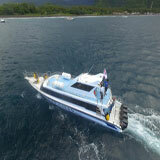 Nusa Penida and Lembongan included into drift dive and there are two points on this dive trip package. Abreviation of Elementary School in Local language. This dive site is located in the front of Elementary school is nice and over coral plateau approximately 12 to 18 meters dept. This dive site has very beautiful corals with a number of coral fishes mainly plagic fish and has an incredible experience on drift dive. Sunfish (mola-mola), reef shark and even manta ray usually can be seen here. It was named after the temple on the shore of the Ped Village also known as Pura Ped Point, apart from that on this beach was put the concrete wall to protect the beach from erosion. Descending right at the front of the wall in 5 meters water will lead toward the steep slope along the coastline, composition of the coral reef is mainly colonies of Stag Horn coral, coral heads and bommies rich with marine fishes, even pelagic like Sunfish often visits this site. The reef stretches east to west and both directions are interesting, best to begin the dive in the up currents. The water temperature is unpredictable changing and can drop to 22 degrees C whenever up current occurs. 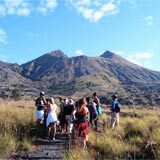 We will pick you up from hotel and take you to Nusa Dua to suit the equipment. After checking all personal equipment, the boat leaves, taking 40 minutes to get to the first dive-site. Each dive has a 1-hour surface interval, and is about 60 minutes long; after the 2nd dive we head back to the beach – normally arriving back before 4.00 pm.